Georgia® 5 3/4" Chukka Wedge Work Boots. 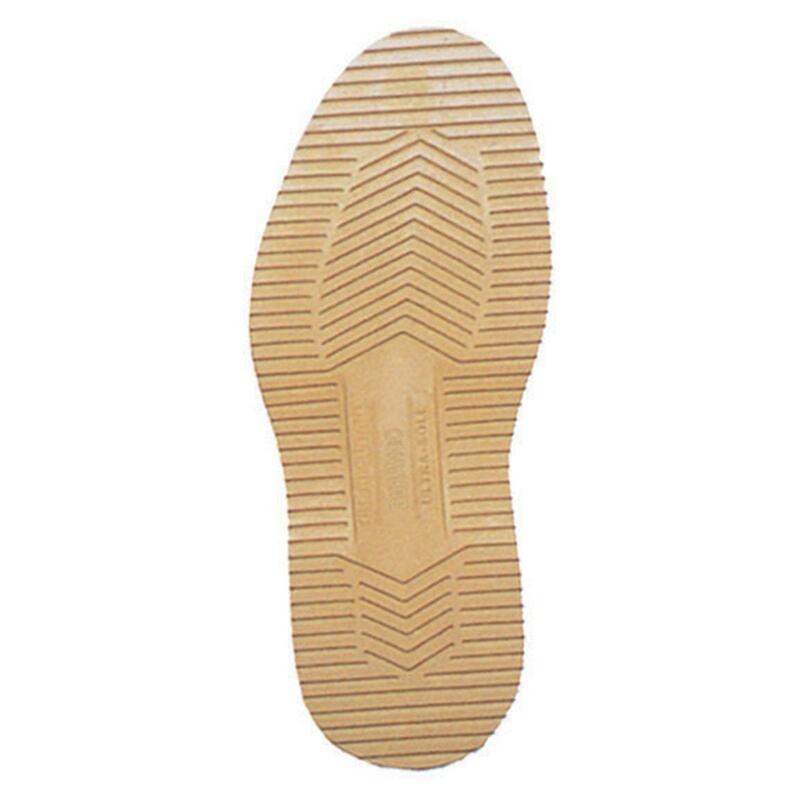 Has a thick, cushy buffer between your feet and the tough terrain below. Wedge soles do quite a bit for your feet... they offer enhanced cushioning and deliver ache-stopping arch support, for starters. Even further, you'll appreciate the lighter weight polyurethane outsole material that takes away some of the strain you feel in your ankles and feet after a long week. Aside from the shock-absorbing comfort, you'll love these work boots' moisture-wicking lining too... allows your feet to stay bone dry and avoid blisters and an altogether uncomfortable, clammy Boot interior. Each Work Boot weighs approx. 24 oz. 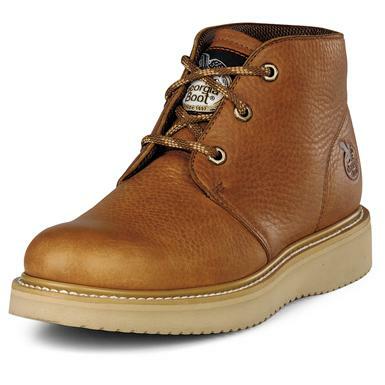 Mens Georgia Chukka Wedge Work Boots, Barracuda Gold is rated 4.7 out of 5 by 62. Rated 5 out of 5 by GaryW31 from Great comfort and still manages to be fashionable I got my Chukka wedge a few weeks ago and I wore it the first day. Needs no breaking in whatsoever. I love this boot. It's a great every day wear work boot but works especially well with my dark washed denim. I doubt I'll have any regrets getting this one!! Rated 5 out of 5 by RomolandTim from Comfortable Boot I wanted a casual boot to wear with my cargo shorts or casual pants to go out with friends w/o looking like I was going to work. Friends always commented that wearing my regular workboots wasn't all that appealing when going out to dinner or lunch on weekends; so I caved and figured I'd buy these..........I love boots only because I feel my "feet" are protected from any unforeseen incidents. I wore them and friends liked them even though I still like wearing my 6" steel toe workboots :). Rated 5 out of 5 by 14bigfoot from Great Everyday Wear Boots I bought these boots to wear for everyday wear. They were comfortable right out of the box and get better each day.I no longer wonder what to wear on my feet for comfort and good looks. Rated 5 out of 5 by WelderPete from Great fitting boot, very durable After 3 years of daily use it was time for a new pair. The uppers on the old pair were scuffed to all get out but still had life left in them. I felt sole had become packed out and was no longer providing proper support so I purchased a new pair. The old boots still had the orginal laces. This is my go to footwear for the construction site and the shop. High enough to keep debris out but not too restricitve. I keep mine supple by applying a light coat of mink oil. Great boot! Rated 5 out of 5 by Go Cats from Good fit right out of the box The wide is wide! I usually wear a 4E and these boots were good. Best fitting boots i have ever bought. Rated 4 out of 5 by GA4G from Well made good quality. Runs wide, I normally wear 4E & the wide was too wide.